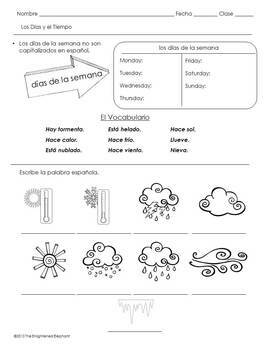 This speaking activities helps students practice asking and answering questions about the weather with days of the week vocabulary. Students work in pairs and use picture cues to answer their partner's questions. 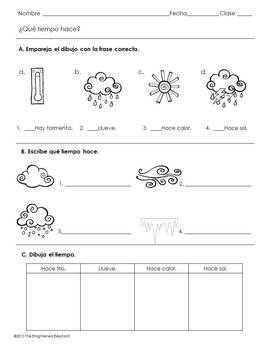 This activity is meant for beginning level students learning Spanish. 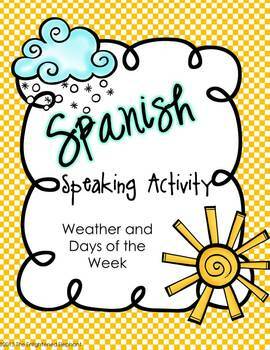 Activity includes pre-speaking, speaking and post-speaking activities. 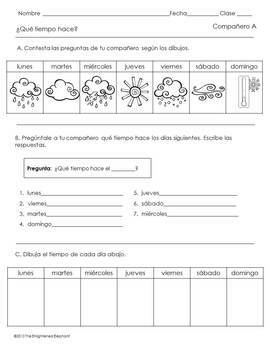 Vocabulary list, recording sheet, student response picture cues, a practice worksheet and answer keys are all included.